The markets are flooded with a variety of green tea, stocked high in their dedicated aisles, which can sometimes make it an overwhelming decision. Here are some of our favourites. The calming and comforting properties of Tulsi green tea by Organic India make it our constant and a great travel companion. Who says green tea isn’t fun? Try the Long Island green tea by Tea Trunk, for a holiday in a teacup. You can spend hours in this tea boutique sipping on some tea while you make your selection. 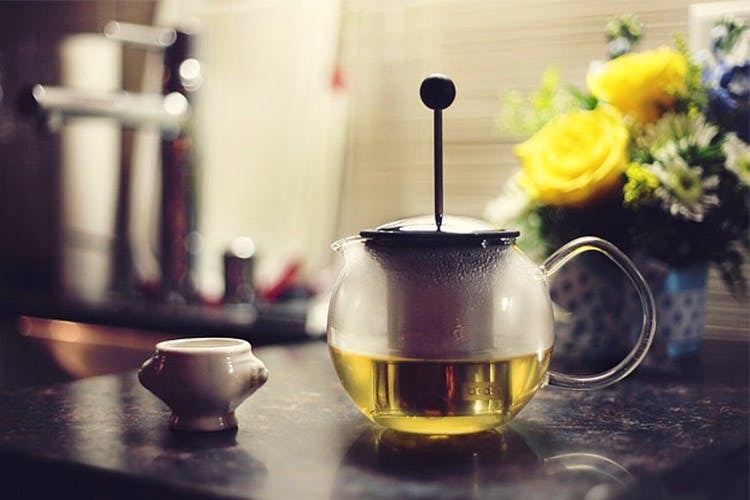 Try the green tea blends like Yoga tea to get all your herb and health benefits in one cup. Get detoxing with Zoe’s organic Kashmiri green tea. Sweeten it with honey and a tea like Kashmiri Kahwa by No.3 Clive Road will make a great end to any meal.